Boat tours are held daily by prior arrangement with our fishing/punting boats. 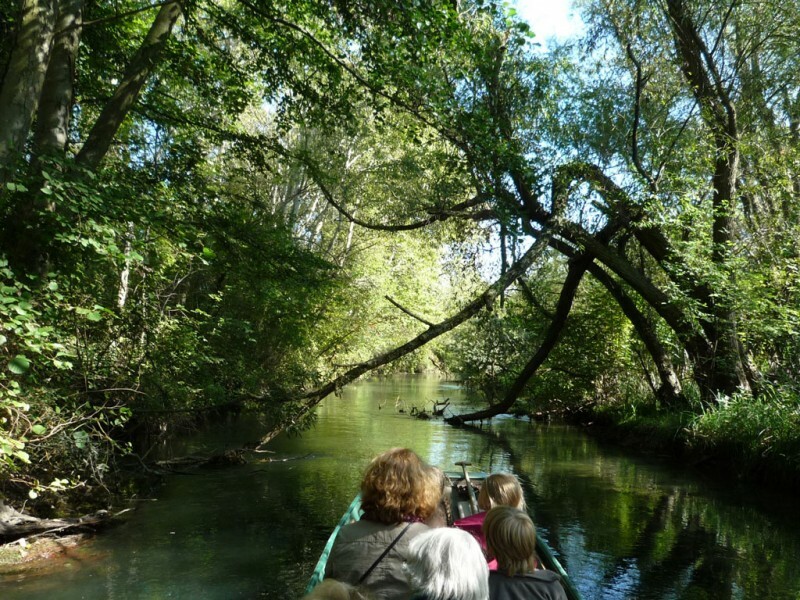 Starting in Rust we boat the longest navigable route in the Taubergiessen nature reserve. For reasons of nature protection, boat tours are only possible between 8am and 8pm. Within this timeframe, you can choose the date and time that works best for your excursion in this unique nature reserve. The boat tour takes you downstream to the bridges Saukopfbrücke or Gifizbrücke between Kappel and Wittenweier. During the tour, your guide will provide you with interesting facts and information about the plant and animal life of Taubergiessen. After the tour, there are several options for getting back to the starting point. Each boat can accommodate 10 people maximum. For group bookings, you will need a corresponding number of boats, depending on the number of participants (excursions for your familiy, company or club, etc.). On request, you are welcome to make use of our barbecue area after your boat tour. It is possible to get fish like trout from a local supplier that can be grilled. Gift vouchers for our boat tours are available. If the boat trip is cancelled or postponed due to bad weather there is no cancellation fee. We reserve the right to cancel or postpone the tour if necessary (flooding, etc. ).